We know that consumers now have so many ways to access information that matters to them, hence, they are very active across media platforms. What media do they consume? what topics they take an interest on? which media contents they like to read/watch? 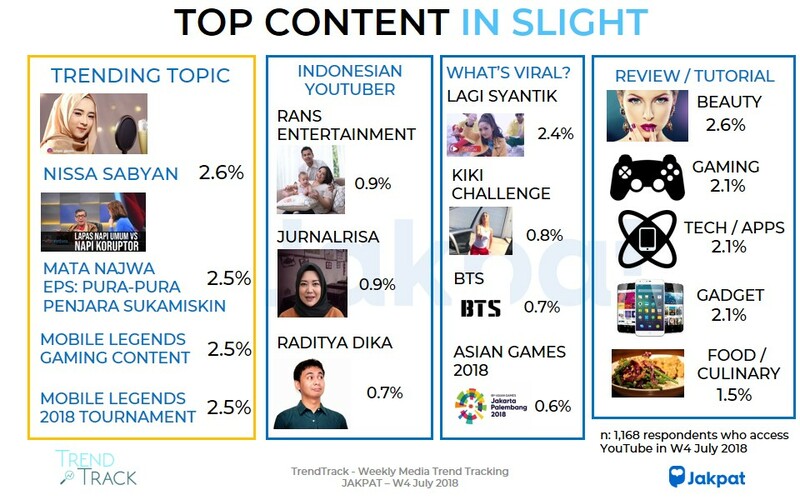 The Trend-Track study is initiated to capture what’s currently happening across media platforms on a biweekly basis. 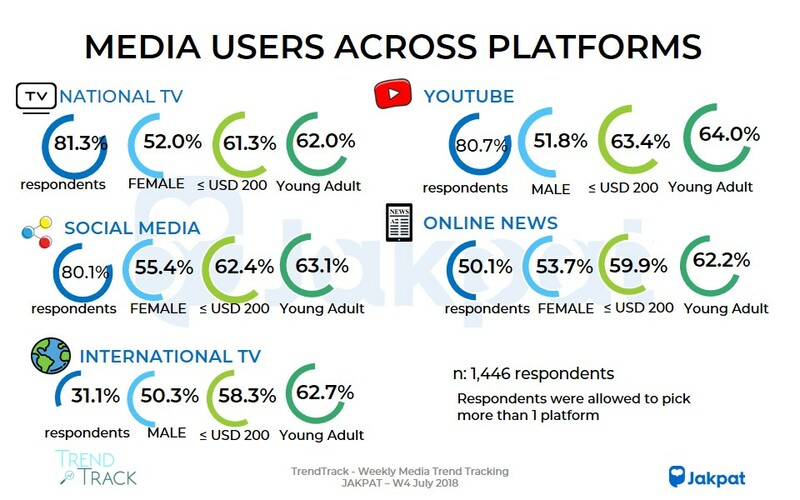 This report could become a reference for marketers in choosing which media to use to communicate with consumers, as well as providing a context in understanding consumers’ topics of interest in media. 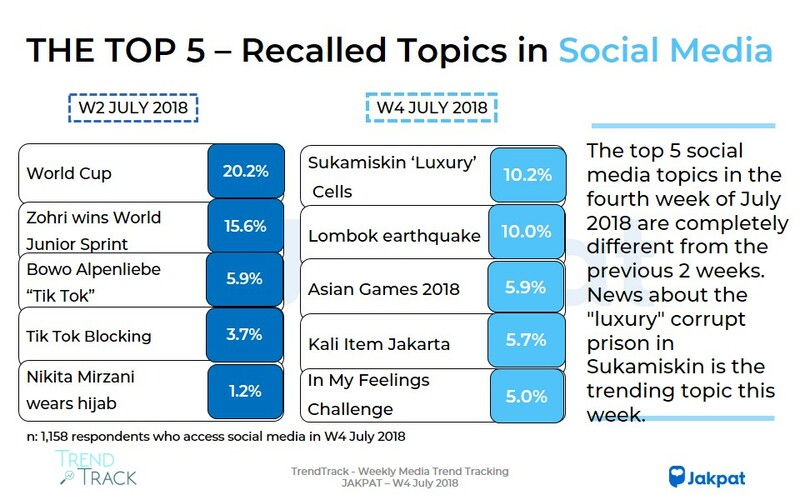 MATA NAJWA in eps Sukamiskin ‘Luxury’ Cells, Kiki Challenge, and Lombok earthquake appear as trending topics in the fourth week of July 2018 on several media platforms. This entry was posted in Lifestyle, Mobile, Premium Report on August 10, 2018 by JakPat.